The Ministry of Sciences and Technology of Thailand, in collaboration with domestic research centres and the private sector, just recently held an exhibition on electric vehicle prototypes that are to be produced domestically. Prime Minister Gen Prayut Chan-o-Cha, together with Deputy PPM ACM Prajin Juntong and Transport Minister Arkhom Termpittayapaisith made a special visit to this innovative exhibition. This exhibition showcased the different electric vehicle prototypes, which included: large and medium-size electric buses, electric Tuk Tuk, and electric motorbike. Of which, about 80-90% of these electric vehicle prototypes parts, excluding batteries are domestically produced. The Prime Minister Prayut readily seized an opportunity to ride an electric Tuk Tuk, which affirmed that the government is ready to support capacity enhancement in researches and production of electric vehicles. This is in line with the government’s political will in promoting the relations and cooperation between producers in automotive and parts industry, in a bid to create employment and incomes. PM Prayut also insisted that Thailand become a production hub of electric vehicles to accommodate the global trend in electric vehicle production to reduce pollution and to tackle climate change resulting from carbon dioxide and greenhouse emissions. With regard to the matter, the Government will carefully consider proposals of interested firms before making decision on the procurement of electric vehicles. 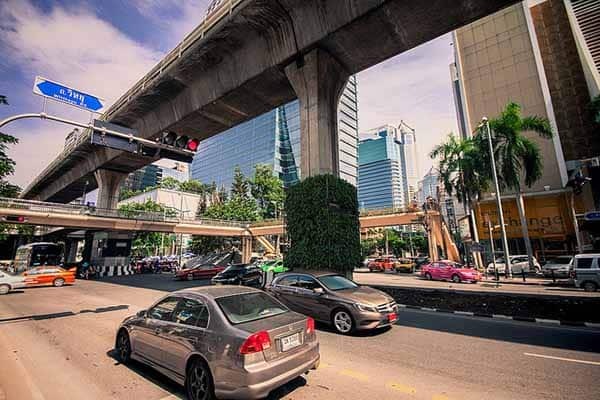 Nonetheless, procured vehicles must be properly registered and must pass the Thailand Government standard. At the initial stage, electric vehicles will only be used in the public sector. Thus, governmental efforts to provide support for capacity enhancement are notable and commendable. This support will boost Thailand&apos;s efforts towards becoming more technically advanced, while still being able to contribute positively to environmental issues.